Jerusalem - Benjamin Netanyahu tried to convince the owner of a popular news site to run a negative story about the wife of a political rival, according to a television report. Israel Television News reported that the prime minister called on Shaul Elovitch — at the time the owner of Walla News — to run a report saying that Gilat Bennett, the wife of Education Minister and Jewish Home faction leader Naftali Bennett, once worked as a chef in a nonkosher restaurant. The report, about events said to have happened in 2002, was never published. The police have previously recommended that Netanyahu be indicted for allegedly offering Elovitch favors in exchange for better coverage. 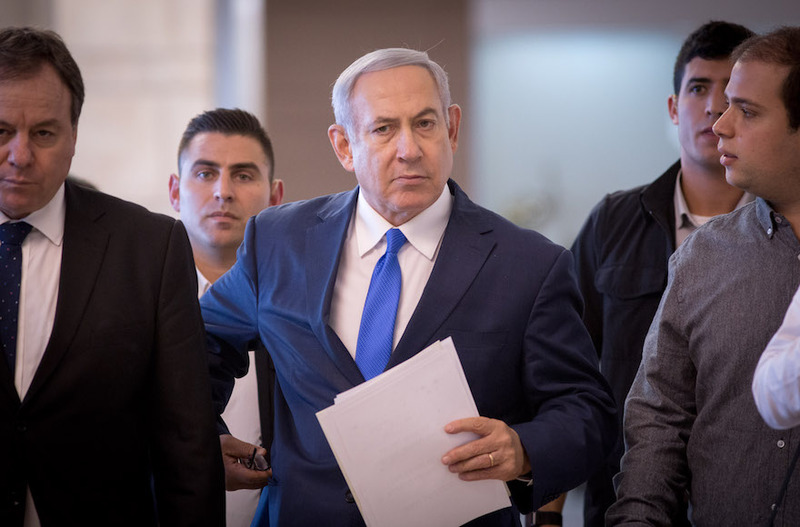 Earlier this week they again recommended his indictment in a separate case in which he stands accused of offering a similar quid pro quo to the owner of the Yediot Acharanot daily newspaper. U cant believe he wld stopp so low??? LOL! Mamzir ben mamzir. Hes the lowest of the lowest of humankind. all's fair in love and war, and maybe politics?